Volunteers are extremely important in our communities. They can change lives whilst helping key services continue to provide much needed support. Those who volunteer also enrich their own lives – in more ways than you can begin to imagine. 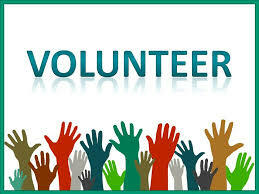 There are a variety of reasons for why people volunteer and in a study conducted by National Council for Voluntary Organisations (NCVO) between 2017/18, 46% of people said that improving things and helping others remains the most common reason for why they volunteer. 31% of people in the study said they gave up their time because this is what is most important to them. The research also showed that those aged 25-34-years-old are the least likely to formally volunteer with only 15% doing so once a month. The highest rates of volunteering can be found among 65-74- year-olds with 29% volunteering once a month and 42% volunteering once a year. If you are interested in volunteering, it doesn’t matter what age group you fall into – the benefits of volunteering can positively impact everyone. Some of the ways that volunteering could help you include; giving you a chance to socialise; adding structure and routine to your lifestyle; boosting your confidence and self-esteem; helping you to learn new skills; helping you to develop existing skills; you will be helping others and doing some good; getting out and about and gaining experience for paid work. There are many organisations in various sectors seeking the help of volunteers and if you would like to learn more about how volunteering could benefit you and the lives of others, please get in touch. Would you like to start volunteering and need some direction about where to begin? Our website has a fantastic and extensive list of varied opportunities across Guildford and Waverley. Please click here for more information.